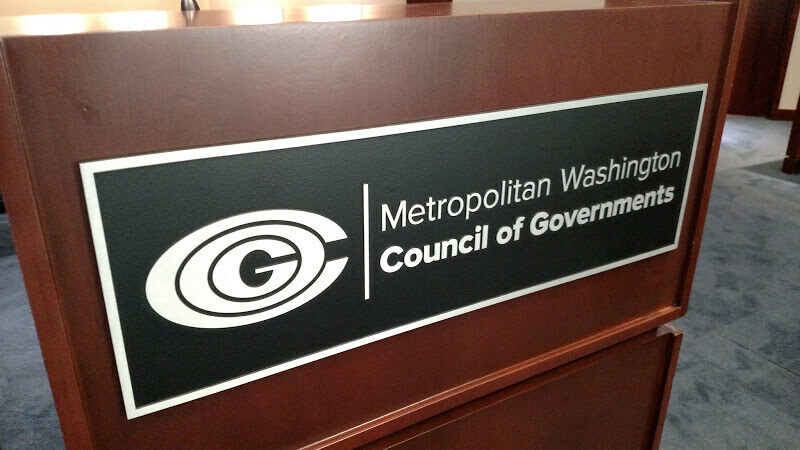 A cast aluminum plaque for Metropolitan Washington Council of Governments in Washington, DC. 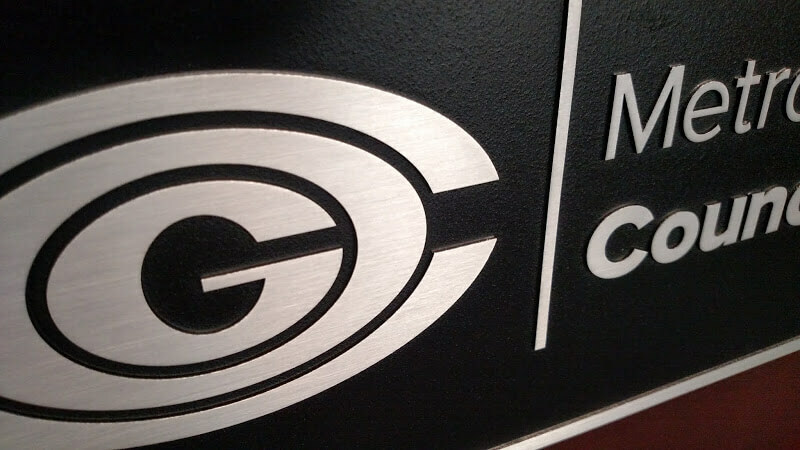 Brushed raised letters, logo and border. Black recessed leatherette background. 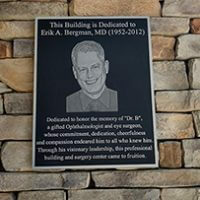 The plaque is pin mounted with stainless threaded pins. A paper pattern is used to drill holes into the installation surface for the pins. 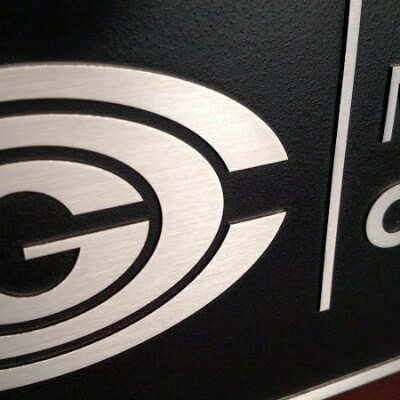 The pins are tight fitted into the holes so the plaque cannot be removed once it has been installed.